What Depletes Vitamin B-12 & Folic Acid? 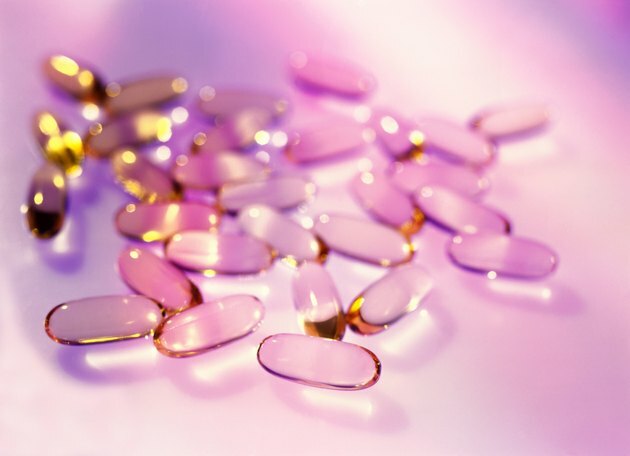 Vitamin B-12 and Folic acid are B complex vitamins that your body uses to create new cells. They work together with six other B vitamins to aid in growth and repair of your tissues and benefit your overall health and well-being. They are also co-factors in the production and absorption of other vitamins and nutrients. Certain circumstances can deplete the availability of B-12 and folic acid, leading to deficiency. Whether it is a glass of red wine with dinner, or a beer at your local pub, under normal circumstances, enjoying a glass of wine or beer every now and then is unlikely to cause lasting adverse side effects. However, chronic alcohol consumption characterized by a prolonged period of frequent and heavy alcohol use, has various health effects, including B-12 and folic acid deficiency. Chronic alcohol consumption can destroy gastric mucosa, reducing your ability to absorb nutrients, leading to deficiency. B vitamins work synergistically and are best taken together, but if you have a deficiency in a B vitamin, it may require high dose oral or injectable treatment. High doses of one B vitamin can deplete another. If you are taking a high dose of any B vitamin, consult your doctor about adding a B complex supplement to prevent deficiency. Pharmaceutical drugs help treat medical conditions, but often have side effects that you need to be aware of. According to the University of Maryland Medical Center (UMMC), several types of drugs can cause folic acid depletion. These drugs include antacids, anti-inflammatory medicines like aspirin and naproxen, antibiotics, anti-convulsants such as barbiturates, birth control medications, diuretics, ulcer medications, cholesterol-lowering medications and the anti-diabetic medication metformin. According to UMMC several pharmaceutical drugs can also deplete B-12, these include anti-inflammatory medications like prednisone and hydrocortisone, certain antibiotics, the barbiturate phenobarbital, certain antidiabetic medication, birth control and cardiovascular medication. Other pharmaceuticals include gout medication, cholesterol-lowering medicines and ulcer medicines. If you are taking any medication, consult you doctor about its possible affect on B complex vitamins. Pernicious anemia is an autoimmune disease where your immune system mistakes cells or enzymes that helps absorb B-12 as pathogens, attacking them. This ongoing attack can lead to an inability to digest B-12 from food, leading to anemia. If you have pernicious anemia, you will generally need life-long B-12 treatment.